1.1. The Gold Member Payment Agreement (“Agreement”) is a fixed-term agreement that includes GoldFever extensions, application and additional agreed discounted services for a monthly fee of the selected plan (“Gold Member Program”). With this Agreement the Customer pays the first month/initial payment upfront and then agrees to fixed monthly direct debit over an agreed time period for the application of Gold Fever Hair and the monthly hair service for a fixed-term from Dry & Fly Ltd. The Customer undertakes to pay the Gold Member fee in whole within the payment period offered by Dry & Fly Ltd.
1.2. 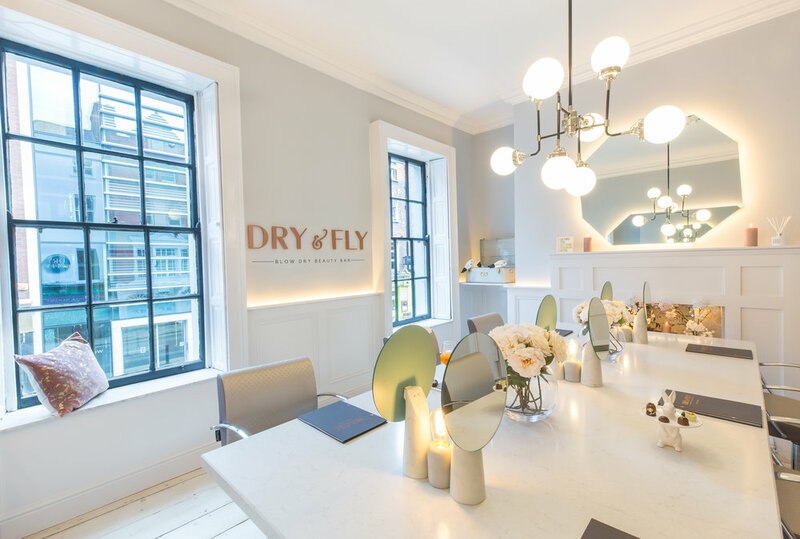 An agreement between Dry & Fly ltd and the Customer shall be deemed concluded once the Customer’s agreed monthly payments has reached its agreed end for the GoldFever Hair and the monthly service. These are our terms and rules for purchasing Gold Member Program from our salon with our fixed-term deal. By agreeing to these terms we have a mutual agreement on how things work. 2.1. This Agreement is a fixed-term agreement and is in force for agreed months from the date of purchase of the GoldFever Program (“Agreement Period”). After the Agreement Period, the Agreement will automatically discontinue unless the Customer decides to begin new agreement. If the Agreement is terminated by the Customer, before the end date of the Agreement period, the customer will be reported to the Irish Credit Bureau. This will result in effecting the customers ability to secure loans in the future. 2.2. After the initial Agreement Period and provided the Customer has paid for the Gold member program in full, the monthly payments shall cease. 2.3. During the Agreement Period the Customer shall have the right to terminate the Agreement by giving Dry & Fly a two-week notice and by paying the remaining monthly payments for the Gold Member program. 2.4. Dry & Fly shall have the right to cancel this Agreement and have all the remaining payments fall due in case the Customer has failed to pay the monthly payment and the payment is delayed at least one month, or in case the Customer materially breaches any provision of this Agreement. In such cases Dry & Fly will cancel the Agreement in writing. This is a fixed-term agreement for agreed months. Typical cancellation terms apply; you are allowed to cancel the agreement by paying the remainder of the contract to us. 3.1. The ownership of the hair itself will pass to the Customer once the first payment has been paid in full. The liability for risk of the GoldFever hair will pass to the Customer once the GoldFever consultation form is signed by the Customer. 4.2. During the Agreement Period the monthly payment will consist of both the GoldFever Hair, application and the hair/beauty monthly services. 4.3. The Agreement Period begins when the customer makes the initial payment and the Customer’s obligation to pay the monthly payments will begin one month after the Customer has made initial payment. Customer provides Dry & Fly with the necessary payment instrument details that enable Dry & Fly to charge the monthly payments. The default payment instrument is credit card. 4.4. Dry & Fly may at its discretion support alternative payment instruments for its Business Plan customers, such as invoicing. 4.5. Dry & Fly is entitled to claim an interest set forth by the applicable legislation for any delayed payments. Dry & Fly is entitled to claim reasonable expenses incurred due to collecting the delayed payment from the Customer. 4.6. Dry & Fly reserves the right to make changes to the Gold Member pricing upon a new agreement. Dry & Fly shall always inform of such possible changes to the prices well in advance, and at the latest fourteen (14) days before the new prices take effect. This fixed-term contract covers both GoldFever Hair, application and hair/beauty products/services is charged with fixed monthly payments. After the contract period of agreed months the monthly payment is finished. 5.1. The warranty terms and conditions, which form part of and are incorporated into these general terms and conditions of sale by reference, are available for you on GoldFever’s website. Such limited warranty covers GoldFever hair, services or any other products are not included in GoldFever warranty. 6.1. Without limiting the Customer’s rights as a consumer under the laws of the Customer’s country, these terms and conditions as well as all disputes or claims arising hereof shall be governed by the laws of Republic of Ireland. Any dispute, controversy or claim arising out of or in connection with this Agreement, or the breach or invalidity thereof shall be determined by Irish courts. 6.2. Dry & Fly’s Terms of Sale and Terms of Service shall apply to any matters that are not set forth in this Agreement. We are from Ireland. Which means that the applicable law in these terms is also from Ireland.